David A. Doyle, MS, PT, is a skilled orthopedic physical therapist and the owner & director of Spectrum Physical Therapy, based out of southern Connecticut, which specializes in sports medicine, spine, and other orthopedic specialties. David’s specialized training includes advanced shoulder complex assessment and treatment techniques and strategies, kinesiology taping and orthopedic soft tissue manipulative therapy. 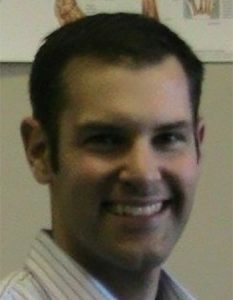 His clinical experience includes assessment of spinal and peripheral joint disorders blending a movement based and biomechanical approach, post-operative rehabilitation, and a wide array of manual techniques, modalities, and movement strategies used in acute uppe and lower quadrant therapy. The US Olympic Women’s Rowing Team is lucky to have him as a physical therapy consultant where his focus is in sports performance enhancement and endurance training. Mr. Doyle earned a BS and a Masters in Physical Therapy from Springfield College and is a member of the American Physical Therapy Association.